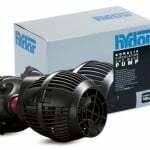 The Hydor Flo Rotating Water Deflector solves the age old issue of wanting to recreate natural currents in a fish tank aquarium without wanting to reach your hand in to the tank and move any wavemaker your may have every few seconds, obviously this isn’t a viable or practical solution! It will attach to a powerhead or even filter output and due to the gears internally, the flow of water coming out of the powerhead will make the head rotate 360 degrees at around 10rpm, this rpm is purely based upon powerhead’s power though but is a good rough estimate in case you are concerned it will start spinning around like a helicopter blade and mutilate your fish! 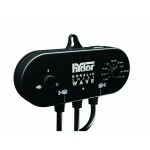 The device itself, although mechanical, appears to run in silence, noise was my main concern when considering buying the Hydor Flo Rotating Water Deflector Wavemaker however this is definitely something you needn’t worry about. I’ve had mine for about 3 months now and not heard a peep out of it. 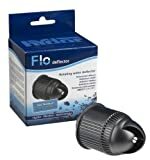 My only problem with the Hydor Flo Rotating Water Deflector Wavemaker is that the powerhead or filter outlet may force it off the end. 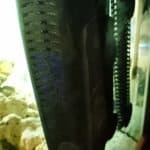 A couple of times I came home from work and the Hydor Flo Deflector was half was across the tank. 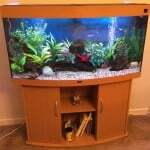 This was easily solved by gluing the Hydor Flo Deflector on to my powerhead, for this I used Gold label pond aquarium sealer. Here are a couple of videos of the Hydor Flo Rotating Water Deflector Wavemaker in action. 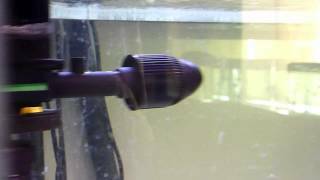 First video is a test of how it works when I first got them and was used on an Aquaclear 70 powerhead. 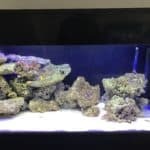 Here is a video of the Hydor Flo Rotating Water Deflector Wavemaker in my Tropheus aquarium, again attached to the Aquaclear 70 powerhead but more hidden within rocks this time. See if you can spot both of them?! 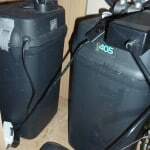 Overall and to conclude I would recommend the Hydor Flo Rotating Water Deflector Wavemaker to anyone who is unsure of whether to take the plunge, you won’t pay more than £20 for them in your local fish store either and it comes with various attachments so should fit on most powerheads. 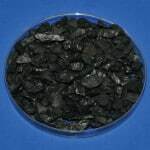 I will be buying more of these for future aquarium projects. 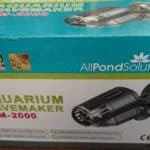 This entry was posted in Reviews Powerheads.